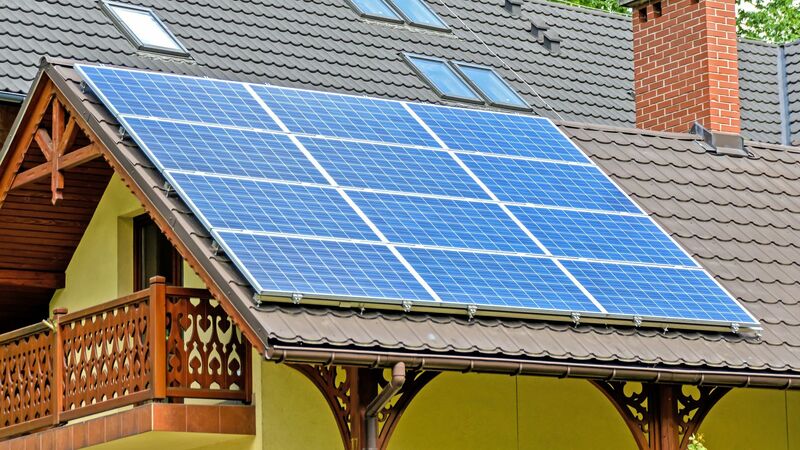 Home owners are taking the first steps to incorporate solar energy into their everyday lives. 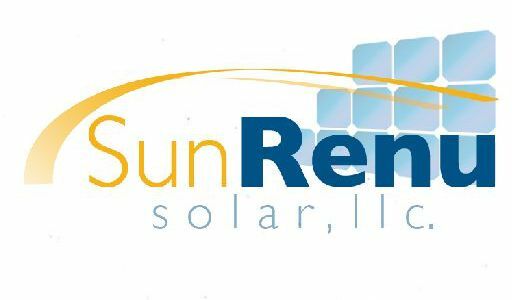 SunRenu Solar is here to incorporate a full portfolio of solar energy products and offerings to start you down the path of savings that will not only reducing your carbon footprint on the environment but will also create your own Green initiative while reducing your carbon footprint. Break away from the escalating energy costs from your local utility and start to create your own energy independence with clean, efficient solar energy products for your home. We use cutting edge technology including the most efficient, steam lined solar energy products along with innovative mounting brackets that will reduce roof penetrations to create an energy independent residence with clean ascetics. A solar energy system will directly impact your monthly power costs and support your household’s bottom line. Your solar energy system is working for you during the day producing clean kilowatt hours from the sun offsetting any high cost energy that you purchase directly from your utility company. You can literally see your meter moving backwards accruing valuable power from solar energy. Your solar energy system works hard for you during the peak sunlight hours and is building up a bank of solar power credit. This is when your power rates would normally be the highest. At night your solar converter pays back the power stored and if your bank is depleted you are buying power off of the grid at a substantially lower rate. We can design and integrate a solar energy system that meets all of your specific needs and requirements with the most innovative solar energy systems in the solar industry today. Making an investment in a solar energy system just makes good financial sense and with our solar energy lease option you can start to see savings with no upfront capital investment on your behalf to go green. At a time when the true value of your home is hard to establish a solar energy system can increase the value of your home and start gaining back equity for the largest investment in your life time your home itself. There are state and federal rebates available for residential solar that ease the capital outlay by incorporating a solar energy system into your home. This is in the form of a tax deduction at the end of the year. You can reduce your carbon footprint with residential solar by making your home energy efficient and create energy independence by going solar. Most Power companies use fossil fuels to supply your power. Take a stand and make a positive impact on your environment as well as your pocket with a custom designed solar energy solar system through SunRenu Solar! There are a variety of solar energy products and mounting systems types available to implement solar energy products into your home. We have custom packages designed to accommodate the “Solar Starter” that include solar energy water heater up to full blown roof mounted solar energy systems designed for a self sufficient Green household. An average household of four in Arizona will spend roughly $300 annually on their electric water heating system. Let SunRenu Solar design a solar energy system that will erase 50 to 90 percent of this expense in your house hold. Costs of a solar water heaters vary and you may qualify for a 25% solar energy State Tax credit up to $1,000 per installation to offset the out of pocket expense. The sun is the most abundant natural resource to heat your pool and is an obvious option to save thousands of dollars by utilizing a solar energy pool heating system in a fiscal year. This option can extend your swimming season for your family even if you do not have an electric heater in place to heat your pool. We can design and implement a solar energy system that works in conjunction with your standard pool pump to reduce the cost of heating your pool dramatically. There are many factors involved with designing the perfect solar energy system for your home. This includes the location in relation to optimal peak sun time and the physical aesthetics of your property. Once we have selected a strategic location at your home for installation we will narrow this down to the best possible solar energy application for your needs. This solar energy product applies directly to the surface area of the install space. Typical use is the carport tops with thin film technology with adhesive backing. This application is most common and provides a metal framework in which the solar panel array is mounted on. The metal rack is then attached to the roof and allows for proper air flow. This will keep operating temperatures low and can maximize efficiency of the system itself. This can be adjusted to the direction and correct slope insuring that your solar energy system will provide top performance. This is the most common type of solar mounting. This method of installation is for flat roofs and customers that don’t want a system attached to the property. Ballast mount is an interconnected series of racking for the solar panel array weighted down with either sandbags, cinder blocks, or could be bolted to the parapet walls. This is a favorite with flat block and foam roofs. This method equates to about 4 pounds per square foot on the roof. Make sure a structural engineer approves this mounting method. Other solar energy mounting options include Building Integrated PV, Ground Mounted, and Pole mounting methods. SunRenu Solar will consider your needs and all factors to incorporate the right solar energy solution for your property.